And then I know my soul must fly. Decide with now do not delay. Decide now do not delay. You are closer to me than any one else. Just need to get Home back to You. Oh Allah, I feel so weak, but I fast Ramadan. I am strong. Oh Allah, I feel so dirty, but I repent to You. I am clean. Oh Allah, I feel so depressed, but I remember You. I am in peace. Oh Allah, nobody listens, but you never turn from me. I am grateful. 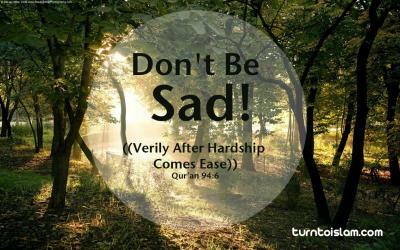 Oh Allah, I feel so depressed, but I think about Hajj. My heart beats again. Oh Allah, I don’t want this life, and I will die for You, only to live forever. All I need is Allah. Because you worship a Lord that does not forget! And you will hope that your soul will be saved from the fire! So on that Great day, you will surely come to know….. I am writing this to get all the jumbled words and stuff floating around down on paper so to speak , inshaallah it helps clear and quite my mind. I am struggling and I feel alone I try and I try to fight this depression it seems never ending like everything is all painted in shades of greys ,blacks and muted dull colors . I can’t sleep well some nights I don’t even sleep I just lay awake and the tears slide down my face and I don’t even know why I am crying . I know that I have no reason to be depressed it is like my brain is broken and stuck in the depressed mode and I am not sure how to snap out of it , nothing I have tried seems to work , I am either allergic to the medication or it has unwanted side effects or cause other problems so I don’t take the medication . I pray 5 times a day and some days I even struggle just to pray , I know you already know this and you know everything even stuff I do not know about. I struggle to read the Quran please help me be able to read it more and to understand it , and not get lost and fall off the straight path. Will I always feel like I am struggling to do my prayers? When will it feel easier and not like a chore ? I love Islam and prayers it is just so hard some days , my mind endless seems to wonder off or I get lost mid prayer or forget how many rakats I have done some days are just so frustrating when will it not feel this way? 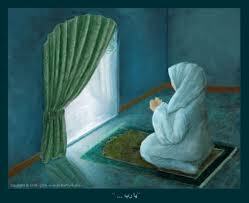 When will I feel like a good muslimah? I feel like I am isolated and alone even when I am surrounded by family and friends why do I feel like this? Will I always feel like this ? I feel rootless like a tumbleweed blowing in the wind like I am in one place the get blown to another place where is my home? When will I understand enough Arabic and be able to speak it clearly and not feel self conscious when talking to people? When will the colors come back ? Is my outlook to always feel and look depressed? Is there any hope for not being depressed?Can you show me the way out of the depression? Will I always cry and not even know the reason why I am crying ? Is the crying a good thing? does it help me , I am trying to understand and be patience ,I am trying to be happy I am thankful for healthy children and healthy family who help out . Will sleep always be a struggle?